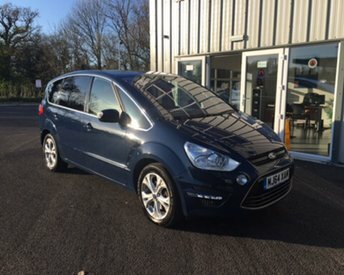 Used car Dealership Bognor Regis, Used cars West Sussex, Ashington Automobile Co.
With a sleek exterior, comfortable and well-equipped cabin and room enough to seat seven, the Ford S-MAX is a sports activity vehicle deserving of your attention. Exhilarating performance goes hand in hand with precise handling, while a raft of safety features mean this vehicle is a great option for transporting your family. 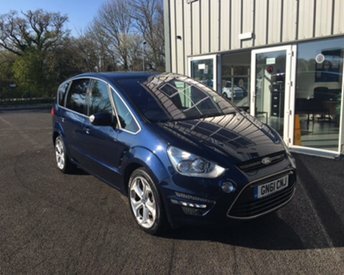 Take a look at the complete range of used Ford S-MAX models for sale in Bognor Regis here on our website. Ashington Automobile Co. specialises in selling quality used cars at affordable prices, so you can buy with confidence. Finance is available to UK residents aged 18 years or older, subject to status. Terms & Conditions apply. Indemnities may be required. Other finance offers may be available but cannot be used in conjunction with this offer. We work with a number of carefully selected credit providers who may be able to offer you finance for your purchase, commission may be received. We are only able to offer finance products from these providers. Postal Address: Ashington Automobile Co., London Road, Ashington, West Sussex RH20 3JR. Find contact details here.